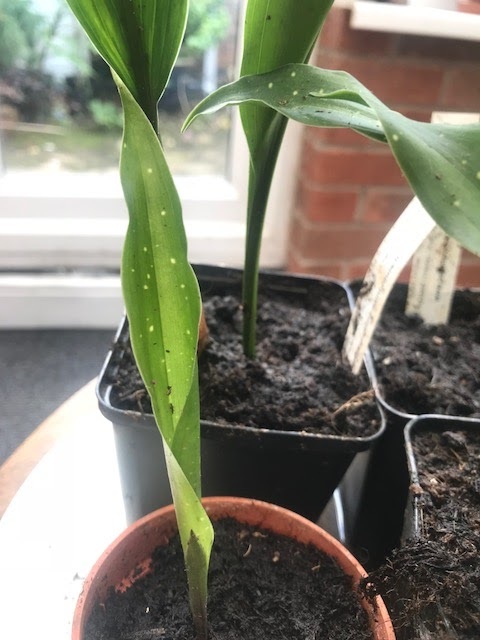 I wanted to start this by saying 'I am not usually easily led', but that is patently untrue, so: as I am easily led particularly in relation to plants, it can be of little surprise to anyone that I have accidentally bought an aspidistra or three. I cannot honestly tell you that for years I have been thinking about them, but when I briefly have, I have thought of them as almost mythical. They are referred to in books and films but I did not actually know anyone who had one. The main thing I knew was that George Orwell flew one and Gracie Fields sang about the biggest one in the world. Until relatively recently I would have had to admit that I had never seen a real one or if I had, I had not known what it was. For the past couple of years they have started to float across my horizon; enough for me to start thinking about them in a curiosity sort of way. I appear to know a few people (some in reality, some in the twitter-realm) who have a thing about aspidistras. Twitter is dreadful for giving me plant ideas and seeing the photos of these plants running up and down my timeline became too much to bear. I was given the name of a webpage of a French nursery and, well, purchases were made. 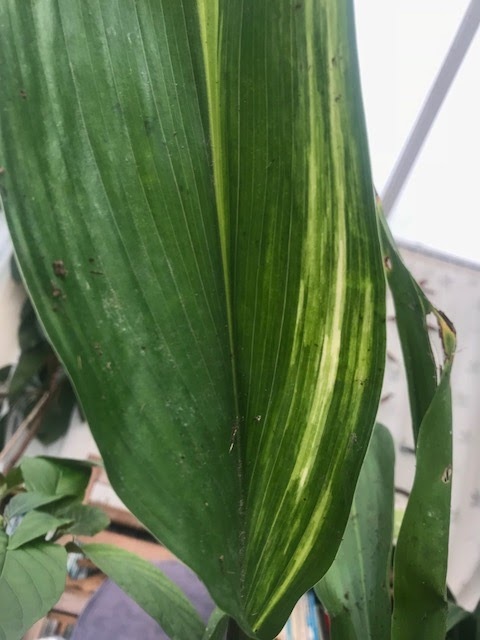 Aspidistra elatior 'Variegata'. This is the one that tipped me over the edge, I saw a photo of it and loved the delicacy of the variegation. 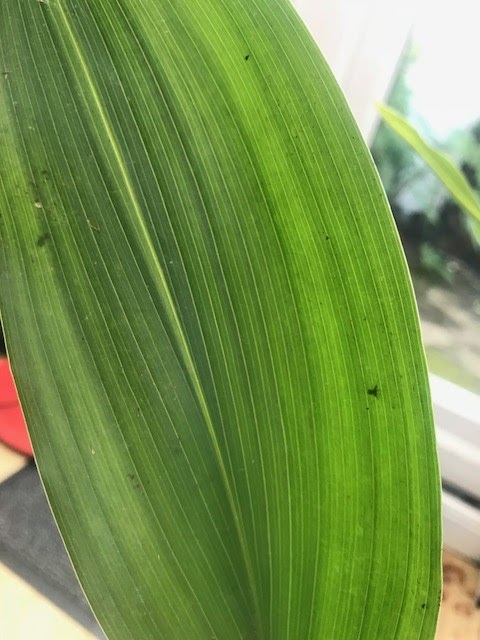 The devil is in the detail, this is Aspidistra elatior 'Akebono' (Zebra). Look at the markings on this leaf, just beautiful. But this, oh my, this is Aspidistra vietnamensis 'Milky Way'. I just had to buy this one, it reached across the galaxies and stole my heart. and (bearing in mind they travelled all the way from France) a bit got a little detached as I was potting them on so I bunged into a pot (this is a technical term we gardening types use) and I am now hoping and hoping it will root on. So far, so good. Now I need some snazzy pots to put them in to show them off. Nice. 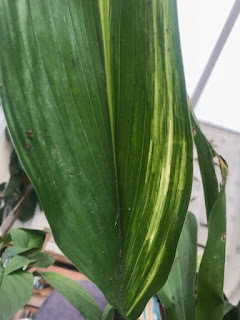 I’m hoping your variegata gets more varigation. They are in a nice bright spot so shouldent be too long. I’ve been easily led into buying plants before. Interesting, you are becoming an Aspidistra addict. 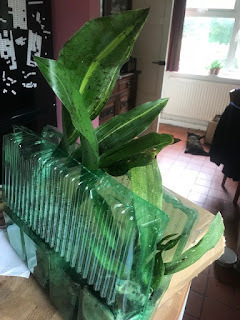 I don´t have Aspidistras but I know them quite well for my grandmother had them when I was young, these Aspidistras were always there in a sunny corner of the sitting room but that´s already more than 30 years ago. 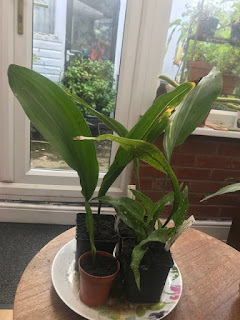 I have an aspidistra, bought from my local garden centre, just the pain green type and it is doing ever so well and increasing nicely, in the darkest corner of the hall. 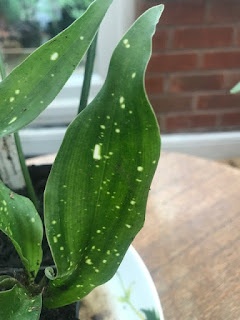 I hope your variegation increases, they look lovely.